Iranian defense attorney Nasrin Sotoudeh was detained on June 13, 2018, and is facing several national security charges for her peaceful defense of her clients in the Iranian judicial system. 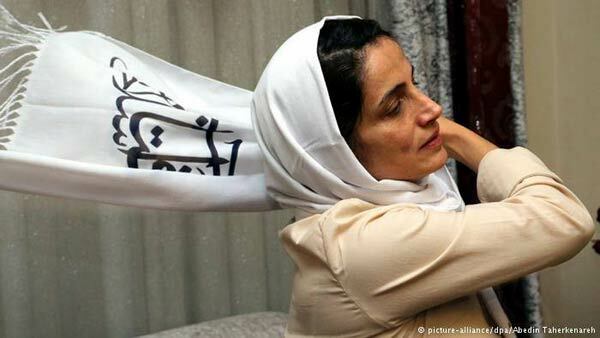 On August 22, 2018, 60 members of the European Parliament (MEP) called on Iranian President Hassan Rouhani to "do all within your power to ensure" the "unconditional release" of human rights lawyer Nasrin Sotoudeh. A 2012 recipient of the European Parliament's Sakharov Prize for Freedom of Thought, Sotoudeh has been detained since June 13, 2018. Having formerly served three years in prison for peacefully defending her clients in the Iranian judicial system, Sotoudeh is currently facing many more years behind prison under several national security charges. 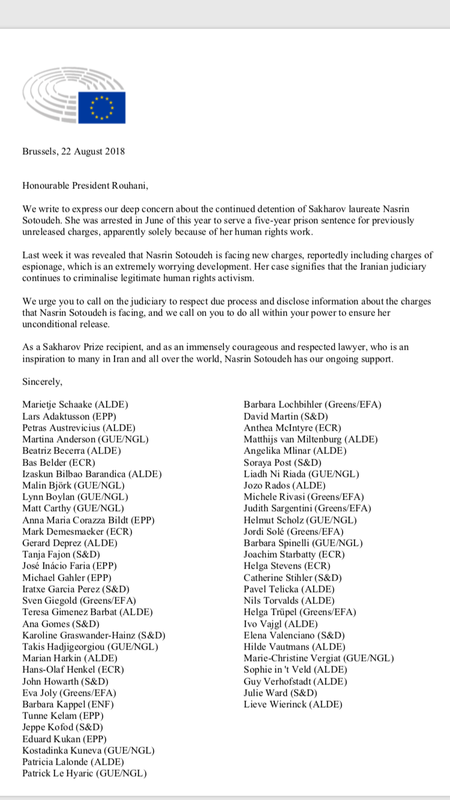 Following is the letter sent by MEP Marietje Schaake to President Rouhani. We write to express our deep concern about the continued detention of Sakharov laureate Nasrin Sotoudeh. She was arrested in June of this year to serve a five-year prison sentence for previously unreleased charges, apparently solely because of her human rights work. Last week it was revealed that Nasrin Sotoudeh is facing new charges, reportedly including charges of espionage, which is an extremely worrying development. Her case signifies that the Iranian judiciary continues to criminalise legitimate human rights activism. We urge you to call on the judiciary to respect due process and disclose information about the charges that Nasrin Sotoudeh is facing, and we call on you to do all within your power to ensure her unconditional release. As a Sakharov Prize recipient, and as an immensely courageous and respected lawyer, who is an inspiration to many in Iran and all over the world, Nasrin Sotoudeh has our ongoing support.